A solvent is any element that allows the dispersion of another element in it. They are part of several industrial applications and can be found in different adhesives, pharmaceuticals, components for paints, and processing of synthetic materials. In the vast majority of these solvents usage come from the automotive industry, the manufacture and usage of paints and also the textile company especially in automotive industry, due to the use of paint rooms for the veneer of the vehicles, where paints in solvent base are used. It is obvious in the manufacturing and use of paints as well, because a great number of these are made in solvent base. In the textile industry, solvents are used in the processes of dry cleaning of textiles (clothes, for example in the Laundries) such as perchlorethylene, halogenated solvent, with high degreasing power. Knowing where the waste comes from, what can we do with a residual solvent that cannot be taken advantage of already by the industry? Recovery of solvents, eliminating impurities and contamination through solvent recovery system. Energy valorization, as we saw in the previous chapter. Focusing on the first process, this involves the distillation of the solvents used. Depending on their characteristics, the most appropriate treatment is performed. The treatment is specific according to its typology, all of them having a common process consisting of the treatment of the residue in distillation-rectification towers, equipped with heat source (water vapor), condenser (cooling with water) And stirring. The technology used to effect the distillation consists of reactors with or without agitation, in which the heating takes place through the walls, where thermal fluid circuits run. 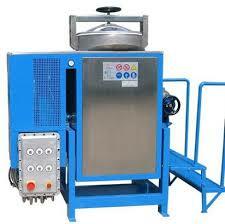 The process is carried out batch wise, and can be operated under vacuum or at atmospheric pressure. The heat supplied to the solvent mass through the jacket of the reactor causes the solvent to evaporate. The vapors are sucked through a conduit in the upper part of the reactor or they come out of over pressure as the distillation process progresses. The evaporated solvent enters a condenser cooled by water, where the vapors condense. This water is in closed circuit and is cooled by cooling towers. Once the solvents are regenerated, in some cases they are subjected to a dehydration operation, eliminating the existing water by the addition of salts that produce their dehydration. Finally, the solvents are either taken to storage for later shipment as their own products or are returned to the same solvent producer for reuse in their production process.